.... a *TaNgLeD HaNgeRs* ORiGiNaL ~~ **ELVIS** ~~ OH~YEAH !! PERFECT FOR *SPRiNg~TiMe & SuMMeR~SuNSHiNE* ORCouLD be LaYeReD OVER a T~SHiRT & LeGGiNGs !! 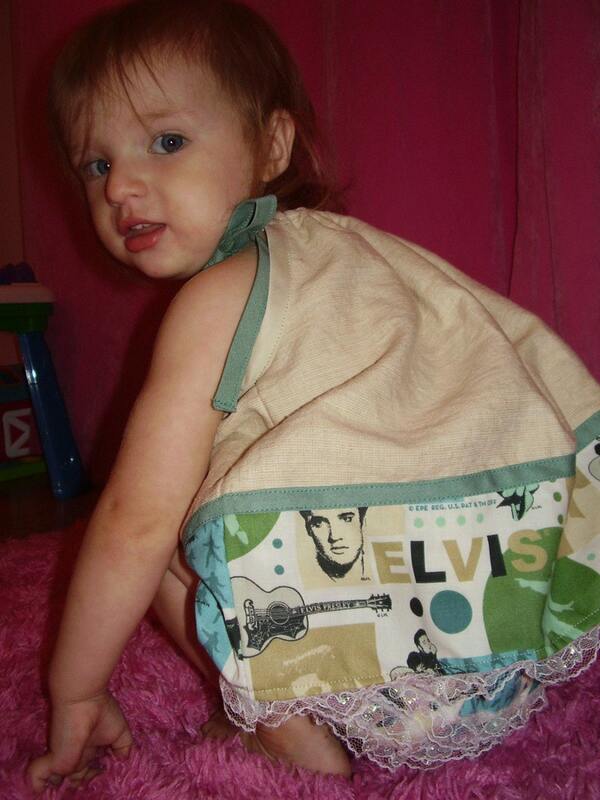 * A 100% CoTToN *ELVIS~ROCKS* FaBRiC for the *BoTToM~PoRTioN* of the ToP !! * DeSiGN is CuT with a *SLigHT* A~LiNe FLaRe, for the PeRFeCT amount of FuLLNeSS !! 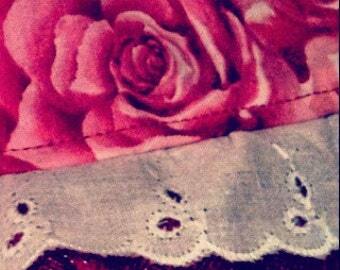 * A CooRDiNaTiNg ~SeaFoaM~GReeN~ *RiBBoN~TRiM* BeTWeeN the 2 FaBRiCs & for the TieS. * TieS @ SHouLDeRS with *SWeeT* LiTTLe BoWs !! * 100% CoTToN *ELVIS~ROCKS* Fabric for the BoDY of the BLooMeRs ~~ the SAME FaBRiC used in the ToP. * The WaiST & LeGs are ~FuLLy~CaSeD~ in *eLaSTiC* for aCoMFoRTaBLe & adJuSTaBLe *FiT* !! ... *GO~GREEN* ~~ SUPPORT *HEMP* & BE *ECO~FRIENDLY* ! !